Balzac, AB. – New Horizon Mall announced today it has signed an agreement with a major anchor tenant to bring a much-needed fresh produce market to Calgary’s north end. Prairie Horizon Fresh Market will be a 23,000-square-foot fresh market and is expected to employ more than 150 people. 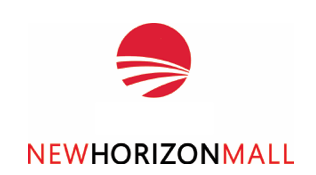 Prairie Horizon will open this summer and is led by Ken and Tracy Aylesworth. The couple through their company, Shindigz Ventures, have more than 15 years of farmers market experience, including managing the successful Avenida Food Hall & Fresh Market in Calgary’s south and owning the Symons Valley Ranch Farmers Market. Ken was also previously the GM of the Calgary Farmers Market for a number of years and oversaw its relocation to its current home on Blackfoot Trail. 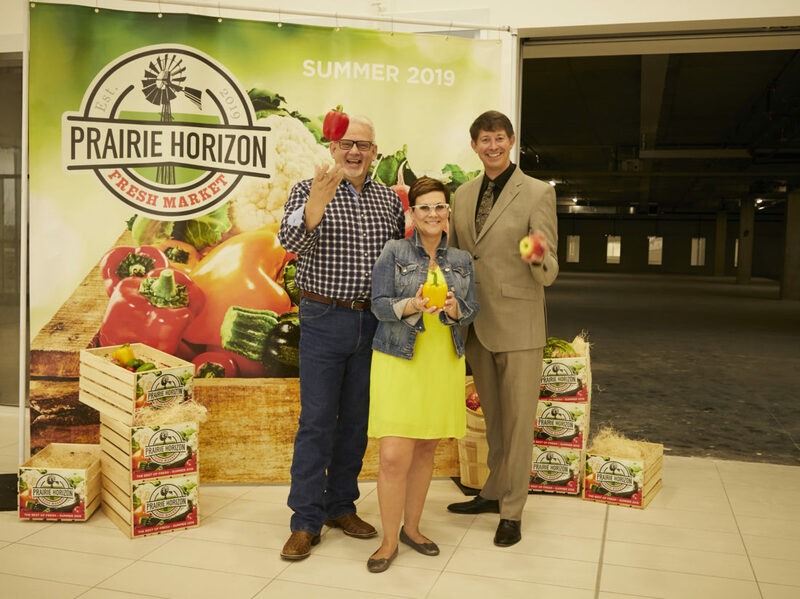 Photo Caption: (r-l) New Horizon Mall General Manager, Scott Smith and Ken and Tracy Aylesworth of Prairie Horizon Fresh Market in front of the 23,000 square-foot space where the first farmers market in the North since 2017, will open in late summer. “Prairie Horizon Fresh Market will focus on various farmers market style vendors. Vendors will range from fresh locally sourced vegetables and fruits; to ethnic specialties such as perogies, Mexican, Asian and Indian cuisine; bakeries, sweets, fresh proteins, coffee, sweet and savory pies, ramen noodles and so much more,” said Ken. “Prairie Horizon Fresh Market will be the first year-round, indoor facility that is sure to please the many residents of North Calgary, Rocky View County and Airdrie with its unique offering of local market and food vendors”. said Tracy. Richard White, past executive director of the Calgary Downtown Association and author of the popular blog ‘Everyday Tourist’, recently wrote about the food hall experience in Calgary and whole-heartedly agrees the market is ripe for another, especially one run by the Aylesworths. “Aylesworth’s Fresh Market concept is brilliant as it can be scaled to work in a variety of different spaces and places, both urban and suburban. It capitalizes on the growing interest in shopping and eating at unique, local ‘mom and pop’ shops, rather than franchised chains. Aylesworth knows what he is doing,” said White. “At Prairie Horizon Fresh Market we are passionate about good friends, great food and making our guests feel right at home. Knowing where your food came from, how it was grown or prepared will be a cornerstone of the Prairie Horizon Fresh Market. Get to know your butcher, farmer, rancher, spice merchant, coffee and tea purveyor, baker and Chef – all under one roof,” said Tracy. “Coming hot on the heels of the announcement two weeks ago of Best Shop as a major anchor tenant at New Horizon Mall, the Prairie Horizon Fresh Market is another huge milestone for the mall and fills the void in the market for a unique source where food-curious Calgarians can discover a different kind of grocery shopping experience,” said Ross Cannata, chief investment officer, The Torgan Group, co-developer of New Horizon Mall with its partner, MPI Property Group. New Horizon Mall is unique among local malls in that the mall is an eclectic collection of small businesses, family enterprises and local entrepreneurs bringing products and services to the Calgary region. From a Chinese department store (Best Shop) to Korean skin care products; Alberta honey to Australian terrariums; from Turkish undergarments to Indian jewelry; an international food court with seating for 300, and even a main stage hosting a variety of entertainment throughout the year – with more than 500 retail stores when complete, New Horizon Mall will feature twice as many stores as Calgary’s next largest mall. The mall located 20 minutes north of downtown Calgary on the QE II Highway and directly across from CrossIron Mills in Rocky View County continues full speed ahead in its initial growth phase. New Horizon Mall is the second such project from the Torgan Group, which has been involved in the development, ownership and management of more than 70 commercial projects worldwide, including their flagship Pacific Mall in the Toronto area.